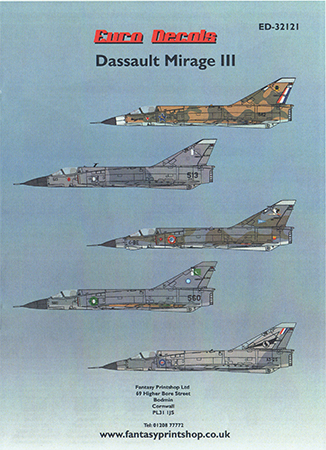 Eurodecals has released another nice decal set for the beautiful Italeri 1/32 Mirage IIIE kit. This set provides five distinctive subjects to choose from and provides nice four-view color profiles along with paint recommendations. 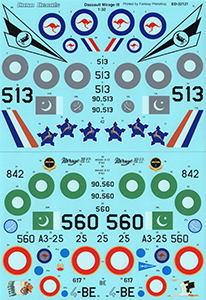 This set includes two sheets and provides all the markings needed to do all five aircraft. If you've wanted to build the Italeri kit but wanted a subject beyond what was included in the box, this set is just what you're looking for. 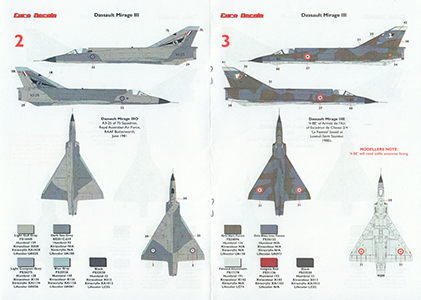 My sincere thanks to Fantasy Printshop for this review sample!